Creating a successful Internet of Things (IoT) product requires many moving parts – from physical devices in the field to the cloud services in a data center – all working together in harmony. Most IoT product ideas will require custom embedded firmware and a web application to accompany the device. What is the best way to bridge the gap between these two vastly different areas of software? As an intern, I was recently tasked with building a demo IoT product using the DornerWorks IoT Rapid Development Board, a low cost connected prototyping device, as the edge device. The demo included five embedded edge devices sending their current status information (network connectivity, current GPS location, 3-axis Accelerometer data, nearby iBeacons, and more) to a central location. A web application then displayed the devices on a map and provided some controls that would send commands to the device. On the surface, the demo concept seems simple enough, but even the simplest IoT idea can turn into a daunting task when it comes time for implementation. Real world microprocessors have limitations to what they can do. Real world devices go offline, have slow or intermittent networks connections, and need to be secured from bad actors. All of these factors must be taken into account when designing the communication system between the IoT device and front-end web interface. Let’s take a look at some of the technologies I used and examine the system architecture I created to address some of these issues. What is MQTT? MQTT is a lightweight publish/subscribe type protocol built on top of TCP/IP, which makes it a natural fit for the Internet of Things. It was designed to use minimal CPU processing power and can provide reliable communication on the flakiest of networks. The “pub/sub” model allows for any number of devices to communicate with each other by connecting to a central “broker,” while only receiving the messages they are interested in. Due to this, MQTT scales easily. With the firmware for the IoT devices in place, I turned my eyes to building the web application. What if the broker is offline? Your front-end now has no way of accessing any data whatsoever, not even last known data that’s made possible by the MQTT retain flag. How do you know when a device was last in contact with the broker? Sure, you could have the embedded firmware include a timestamp with its status, but that would involve additional time synchronization that would otherwise be unnecessary. What if you want access to historical data? MQTT alone has no concept of this. And more… Now your front-end code needs to be able to authenticate with the broker. You are using a secure connection, right? Plus, if you want to do any sort of validation on the data coming from the devices, you must now do so in the front-end, where this might be better suited to background work on the web server. Your front end now also has to join the device data with any other data you’re using from other sources… I could go on. Creating a basic RESTful API using Rails is fairly trivial so I won’t go into it here, but how did I actually get the data from the devices? What is Rake? Rake is a build language similar to Make or Ant, but for Ruby. Among many things, Rake allows users to specify tasks with prerequisites. Since I was using Rails to build my web app, I already had Rake installed and ready to go. After a little effort, I was able to parse the status information from the devices (which I had conveniently been publishing in JSON format) and update my database records accordingly. I could keep my RESTful API updated simply by running rake mqtt:listen on the command line and forgetting about it. “How to deploy a rails app to production,” or any web application for that matter, could be a series of blog posts in and of itself. For the record, I used Phusion Passenger with Nginx integration mode running on an Amazon Web Services EC2 t2.micro instance as my production environment. The Upstart service waits for the EMQTTD service, our MQTT Broker, to start up and then executes the mqtt:listen Rake task. Depending on your situation, you may want to have this script run bundle install or rake db:migrate to ensure the MQTT task is fully ready to go. While the overall system architecture I implemented is satisfactory, there is still room for improvement. In particular, I was not happy with the Upstart script. I found it to be prone to issues when deploying updates to the production Rails app. Since it got the job done, I stuck with it. If I had it to do over again, perhaps I would have looked into Resque, a Redis-backed Ruby library for creating background jobs, created by GitHub to manage the background tasks they need to run in production. While wrapping your head around all the different components in an IoT product can be challenging, following this approach to getting all of the components connected is a great step in the right direction. DornerWorks has the experience in developing all kinds of IoT products, and our knowledgeable staff is eager to bring your next IoT idea to life. 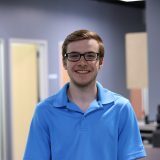 Michael Spoehr is an intern at DornerWorks, currently an engineering student at Michigan Technical University.